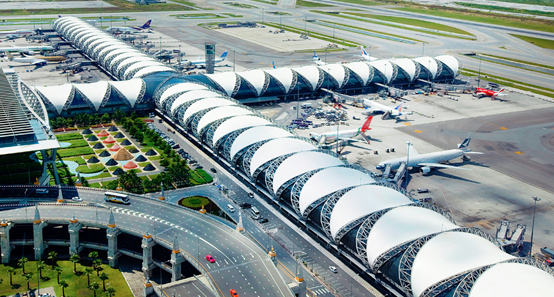 Why book Bangkok Downtown car rental at VIP Cars? Rent a car at Bangkok Downtown with pricing inclusive of CDW, Theft Waiver, Unlimited Mileage etc. 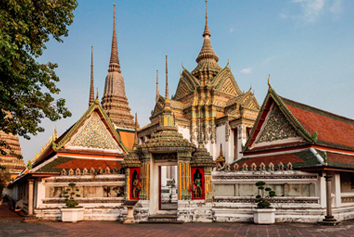 Looking to explore the Thai capital? Begin from the famous Bangkok downtown by hiring a car with VIP Cars and get a smooth start to your journey. VIP Cars is dedicated to bringing you the best car rental deals for Bangkok downtown from the most reliable suppliers in order to give you an unmatched experience in this hospitable city. 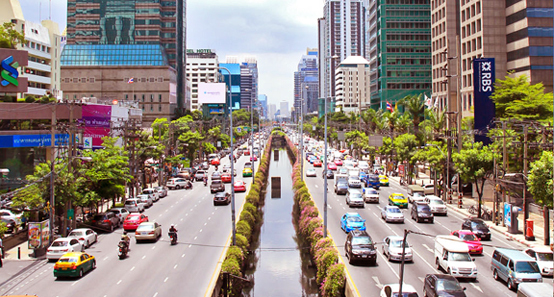 Renting a car for Bangkok downtown proves to be a great decision as it makes it easy for the passengers to explore this major tourism hotspot in Southeast Asia as easy as possible. 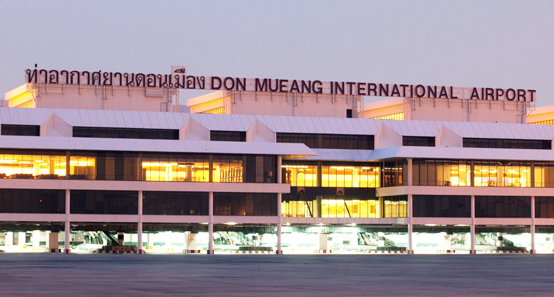 With us, you can pick up your Bangkok Downtown rental car from any of the two international aerodromes of the Kingdom of Thailand – Don Mueang International Airport and Suvarnabhumi Airport, the two major airports that serve Bangkok and its Downtown area. For different car categories, different prices are charged, so focus on 'for what are you renting a car?’ For instance, if you just need to move about the city downtown, rent an economy but if you are planning some off road adventure, go for 4x4 cars. How much traveling are you going to accomplish? Some suppliers’ deals come with limited mileage, while others offer unlimited mileage. Check the specific offer’s inclusions and choose the deal which covers unlimited mileage if you are going to cover a big stretch of land. It will save you a lot of money. How long are you planning to rent the car? Suppliers charge different prices depending on the duration of the rental. It is usually advised that one should rent in advance and if possible for a longer duration as in these cases the offered prices are usually lower. Different car rental suppliers offer different fuel policies, but the fairest one is considered to be the full to full policy. Hence while deciding the car rental give preference to deals which cover full to full fuel policy. How to Rent a Car for Bangkok Downtown? Enter details like 'pick-up/drop-off date, time, country & city, currency, and age’. After filling the details, click on the 'Search’ button, and all the available cars will be presented. You can compare the available deals by using the filters given on the left pane of the page. On deciding which deal to book, click on the 'select’ button and you will be directed to the last step. At this stage, you can add extras if you want and if not just fill in the personal information and click on the 'book’ button; you will be directed to our payment portal. When the payment is made, you will receive a confirmation email with the rental voucher. 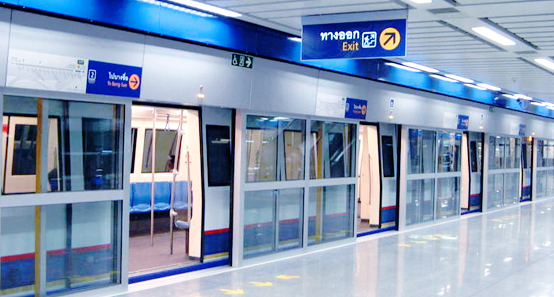 Your car rental voucher for Bangkok downtown will provide all the information that you might need. You will need to take a print out of your rental voucher and would have to bring it along with other mandatory documents at the time of pickup – which usually includes a valid & full driver’s license, a major credit card and an valid proof of identity. Read the voucher and the provided information properly before your flight to Bangkok for better insight into what you will be needing at the rental desk at the time of pick. Following inclusions are covered in the final price of the Bangkok downtown car rental deals offered at our booking engine; they are provided for the convenience and safety of the customers, and since they are included in the rental price, the renters don’t have to pay anything extra for these at the time of pick-up or later on. Apart from these inclusions, a few add-ons are also available that the customer can opt for a small surcharge to make their journey even more comfortable. If for some reason, the renter decides to cut their trip short and wants to return their Bangkok Downtown car rental earlier than the booked date, they can certainly do so but in such a case, no amount will be refunded by either the supplier or VIP Cars. If a customer decides to extend the trip and needs the car rental for a few more days after the drop-off date, the customer must inform the supplier about the change in plan. Charges for the extra days are usually higher than the standard prices. VIP Cars offers a secure payment platform where you can make the car rental payments without any hassles or worries. In addition to this, we also accept payments in multiple currencies for the convenience of our customers. With us, you pay just a small amount from the total price, and the rest is to be paid at the time of car rental pickup. In the event the main renter wants to cancel their car rental booking for Bangkok Downtown, the customer is required to inform the supplier or VIP Cars at least 48 hours before pickup; in this case, the customer will receive a full refund. If the customer fails to inform on time or does not show up at the time of pickup, neither VIP Cars nor the supplier is liable to return any money. One way rental, although possible, strictly depends on the supplier of your car rental. Since the charges for one-way rental depends on the distance and the timings, the customer must confirm this with the supplier ahead of time. 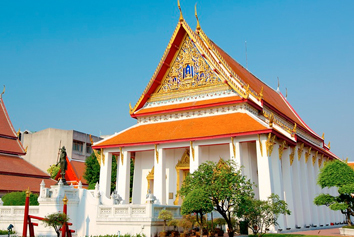 Being one of the most popular places in Bangkok, the downtown area is the place where all the best hotels, restaurants and entertainment places are located. The downtown is a busy area and welcomes everyone with a warm atmosphere – a place where people can have a good time whether it’s day or night. The central attraction of the city is filled with shopping places, exquisite food and an unmatched nightlife. It’s famous for its sky scrapers, vibrant nightlife, and umpteen numbers of tourist attractions, famous food streets, and several mega retail outlets! 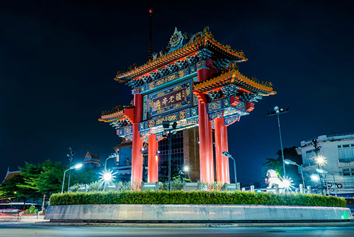 Conveniently approachable via a number of expressways, Bangkok Downtown is one of the most preferred tourist destinations in Thailand and is best explored in a rental car. It is a 1 km long strip of street side restaurants, market stalls, and shops, famous for its food. 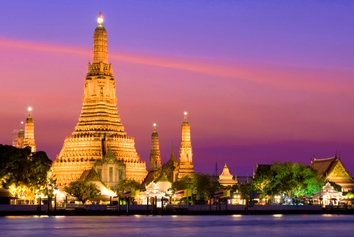 It is a Buddhist temple dedicated to the Hindu god Aruna; also known as Wat Arun Ratchawararam Ratchawaramahawihan. 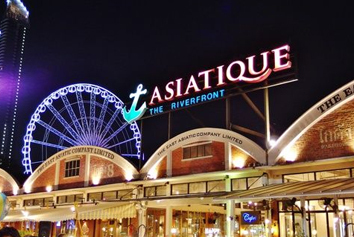 This open-air mall is noted for its riverside restaurants, a tall Ferris wheel and a big open space meant for concerts and festivals. This Buddhist temple, also known as Wat Phra Chetuphon Vimolmangklararm Rajwaramahaviharn, houses more than a thousand Buddha images. The largest museum in Southeast Asia contains artifacts from ancient periods of different Asian regions. Guided tours in multiple languages are available. 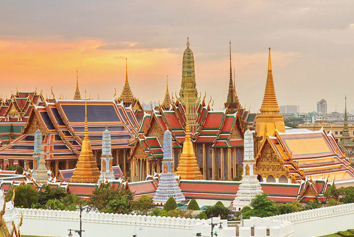 A complex of buildings in central Bangkok, the Palace is the official residence of the King of Thailand. 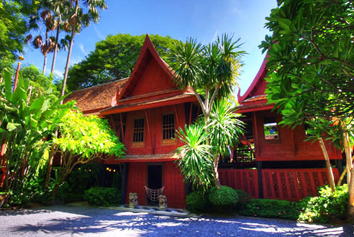 Built in 1959, the museum houses the exclusive art collection of the American businessman Jim Thompson. 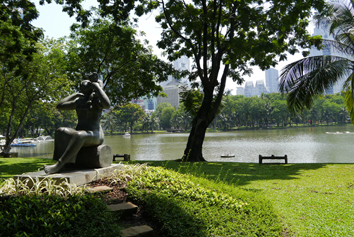 The 140-acre beautiful park offers open spaces and playgrounds and an artificial lake where people can rent boats. 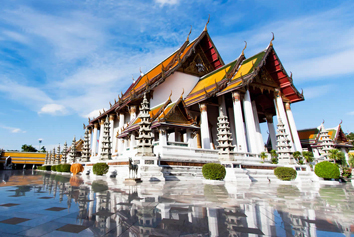 A royal Buddhist temple in Bangkok, the temple is famous for its magnificently crafted Buddha image known as Phra Sri Sakyamuni. IDP : You don’t need an international driver’s license if your stay in Bangkok is less than 6 months; but if possible, do apply for one if you don’t have it, as in the case of an emergency the police will ask for it if your native driving license is not in English. Driving Lane : In Thailand, people drive on the left and the driving wheel is on the right-hand side of the car. Mobile Usage : Speaking on the mobile phones is illegal; one can only use them for calling if one has a handset.